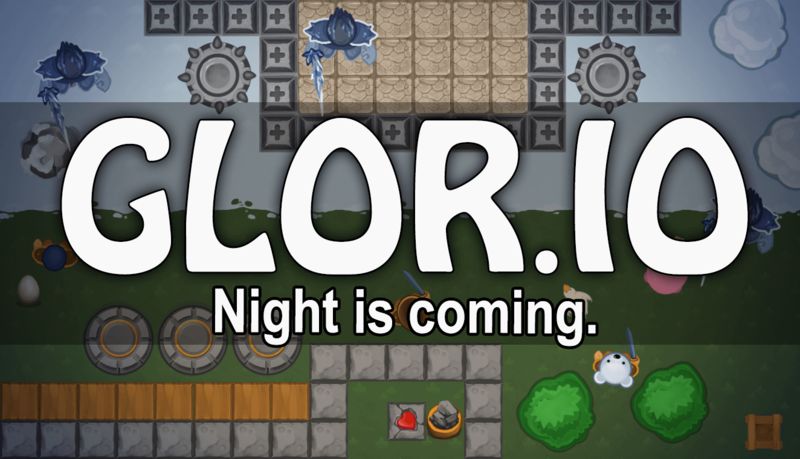 Glor.io | Play Glor.io free on iogames.space! Collect the resources around you, build walls and construct doors for protection. Collect eggs, kill animals, plant beds in order to get food. Create assistants: guards, peasants, mercenaries. Beware of wolves and other players. You can create your clan using "Create Party Link" button at the bottom of the page. After clicking on it, copy the link on the address bar of the browser and send it to your friends. The more gold you have, the higher your ranking in the leaderboard will be. Build towers to extract gold! You can hire units to accelerate your progress. - Finding a pig with a saddle is a great luck! - You need to build more towers to stay on top of the leaderboard! - Invite your friends using "Create party link" at the bottom of the page in order to play together! - Are you going to attack the enemy? Don't forget to leave guards in the castle! - If you need a lot of food, make beds as soon as possible! - You can block enemy doors by building your walls nearby. - The number of wall blocks is limited, but you can save some by building a castle near the border of the world. - When attacking the enemy, you can create your guards next to him. - If your mercenaries are killed during the battle, you can instantly create new ones. Make sure you always have enough food for it. - Take good care of your peasants since higher-level units extract more resources. - The stone of life saves you life, but you lose all the resources you have collected. - If you died and used the stone of life, do not forget to build a new one! - After defeating your enemy, you will get a quarter of all his resources, including gold. The battle for glory has begun!